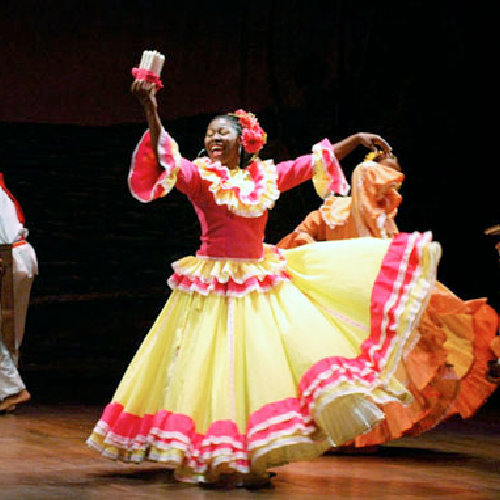 Travel in Colombia and learn to dance, sing or play percussions! Take private singing class, learn to play percussions, learn any Salsa style or Caribbean hot Champeta dance! Join a relaxing yoga or medicinal retreat in English, learn Surf & Spanish or take your Tango to a new level with worlds best teacher and explore the cities with our RiCo Salsa and Tango tours. You can also hire a private guide to explore Colombia the way you wish. 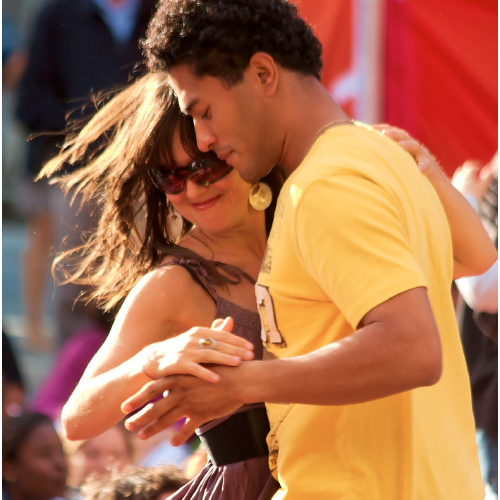 Our Salsa and Tango tours guide you to the authentic Colombian music and dance scene. 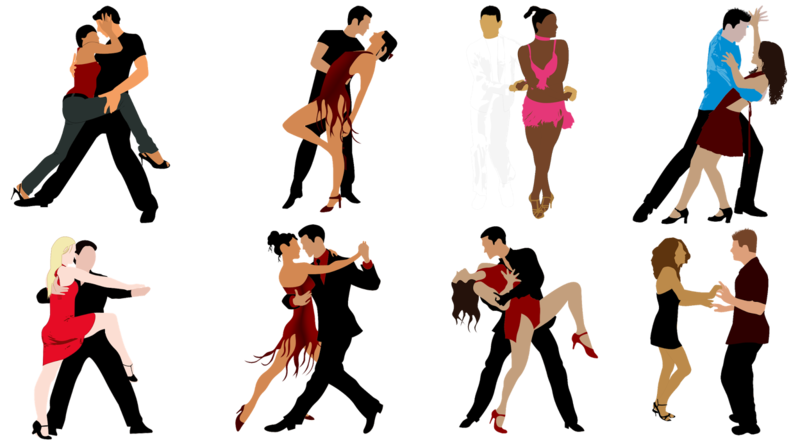 In South America the biggest salsa scene is in Colombia and Medellin is know for its Tango history with Carlos Gardel – the legend of Tango. A must do during your visit to Colombia is to go out to a salsa bar to see how the local style is and take some dance steps yourself too! 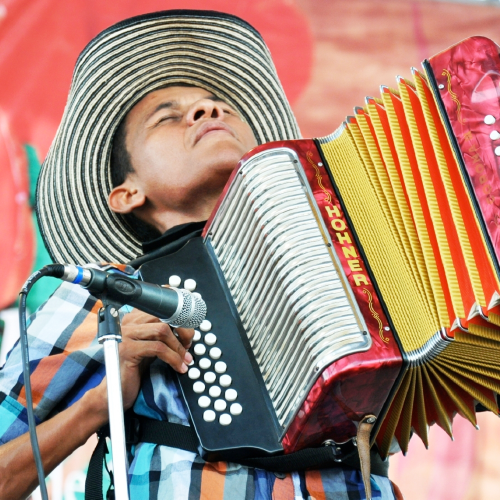 Tour company that takes you to places where you can hear, see and FEEL the rhythms of Colombia. There are hundreds of rhythms both authentic Colombian from pre-Hispanic times and adapted rhythms like salsa. 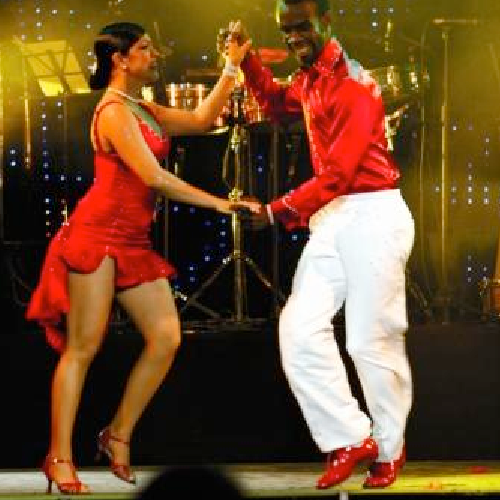 See a live band – learn salsa moves – feel the Colombian happiness. Listen to the story of salsa in a cozy salsa café decorated completely with pictures and details from the world of salsa. Receive a salsa gift – USB memory full of music! For those who prefer their tour to be more music oriented, it is possible to also choose a more intimate venue with less dancers, focused more on enjoying a smaller band of professional musicians with a front row table, just let us know what you prefer. In Colombia every one can dance. It doesn’t mean they dance well or that they dance in rhythm – but they dance! They get up from their seats and dance with the whole family, with friends and go out on the weekends with their husband/wife to dance. It is not a hobby, it is part of the culture. Being a big country with unlimited love of music, you find many differences in music genres. Our teachers will help you with all levels and all dance styles from folkloric to latest urban variations like Salsa Choque. At a typical evening, there are however a selection of basic genres that everybody all over the country will dance and we are happy to teach you these so you can enjoy your night out, a neighbors birthday party, a wedding – local style. Some of these rhythms have not originated in Colombia, salsa has African and Cuban roots and tango has Argentinian and European roots, but Music-Loving-Colombians have adapted these beats to the local culture much stronger than anywhere else. Whats the main rhytm you hear in Cali? What about in Santa Marta or in Quibdo? In Colombia you live your day to the beats of salsa, vallenato and cumbia in every step: in public transport, taxis, radio stations, corner shops, house parties and even at the dentist! Tango is a popular among passionate dancers around the world. In Medellín however, you can see many locals listening to tango in small neighbourhood bars and house parties – a fact that surprises many Argentinian visitors! The music is popular and so is the dance. Our tango teachers have studied the original Argentinian tango in Buenos Aires during many years and are now based in Medellín to take your tango to another level. Click here to book a private class! Colombians dance the general “Colombian style” (which varies in every city!) and advanced “Cali style” salsa – winning the World Champions with their amazing footwork. It is rarely possible to find instructors of Colombian/Cali style salsa outside of Colombia, so you should take the advantage while you are in Colombia and try this unique style as a beginners or as an experienced dancer. We also teach all Salsa styles popular around the world: Cuban style, Cross Body style, New York style etc. Click here to book a private class! Take our classes in percussion, singing, guitar etc. with our professional teachers. For total beginners or for advanced musicians, it’s a great opportunity to extend your knowledge with Colombian musicians. Click here to book a private class! Want to book a salsa or tango tour?